10 JUN 2016: Valley View, OH – Great Lakes NeuroTechnologies (GLNT) announced today they have received four issued patents from the U.S. Patent Office, focused on wearable technology for Parkinson’s disease diagnostics and treatment. The issued intellectual property covers using wearable sensors for measuring motor symptoms associated with Parkinson’s disease, using measured symptom severities to remotely adjust therapies by clinicians, as well as using a trained database to automatically make therapy recommendations. The global market for wearables continues to explode, and Parkinson’s disease represents a targeted application for sensors and apps, with many large strategics in the technology space expressing interest and launching pilot studies. GLNT commercialized Kinesia [ http://www.glneurotech.com/kinesia/ ] technology to provide wearable, objective and automated assessment of movement disorder symptoms. The continued issuance of patents in the GLNT portfolio demonstrates their continued commitment as the market leader in wearable and objective measurements for Parkinson’s disease. US Patent 9,238,142 covers using objective symptom measurements from wearable sensors to remotely monitor and adjust therapy parameters such as deep brain stimulation settings. US Patent 9,282,928 covers a device or system of wearable sensors to measure Parkinson’s disease motor symptoms and using that data to treat the disease with medication. US Patent 9,302,046 covers a system for continuous monitoring of Parkinson’s symptoms using wearable sensors with data sent to a remote station for review by clinicians. US Patent 9,314,190 covers a system for providing treatment recommendations based on trained algorithms from a database that includes a history of objective symptom severities from wearables, as well as additional patient demographics. 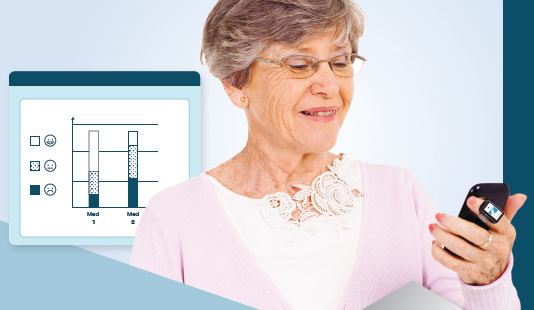 ‹ Automated Telehealth Diagnostics for Remote Parkinson Monitoring.